Santa Monica is located within Greater Los Angeles, making access to the city easy by public transportation, air travel or car. Find directions to Santa Monica below. Only eight non-freeway miles from Santa Monica, Los Angeles International Airport (LAX) is the closest airport, with direct bus service, shuttles and other transportation. Rates for shuttles between LAX and Santa Monica start at approximately $15 per person one-way, $30-40 round-trip per person ($10-20 for each additional person) not including tip. Shuttles are located on the lower level of the airport. For up-to-date information on the projects taking place at LAX, click here. Santa Monica transportation shares public services and routes with other systems within the Los Angeles area, making access widely available. Schedule Daily service from San Diego and San Francisco. Daily service with operating hours varying from approximately 4am until 2am 24-hour service. Connection required (Light rail or Big Blue Bus). Direct route from Downtown LA (Union Station) to Downtown Santa Monica. Direct route from Downtown LA (Union Station) to Downtown Santa Monica. Greater Los Angeles is a large metropolitan area with heavy traffic levels at certain times of day. Numerous routes are available to reach Santa Monica, with the Interstate system (I-10 / I-5) and the Pacific Coast Highway (US-1) being the most popular routes. Once in Santa Monica, real-time parking information, Santa Monica directions and a downloadable app are available through the City of Santa Monica. 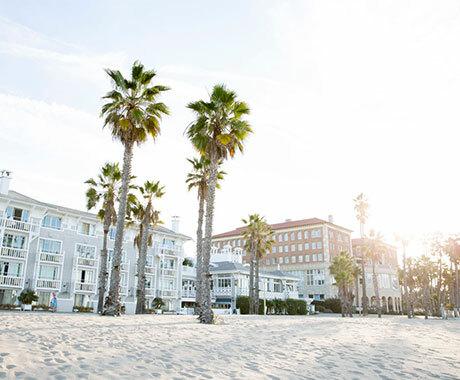 Santa Monica offers a number of franchised taxi companies available for your travel needs, all of which offer a flat rate fare from Santa Monica to LAX ranging from $30-35 depending on your location in the city and not including tip (approximately 15% of fare). A $4 surcharge is levied on trips originating from LAX. On-demand ridesharing companies, Lyft and Uber, are available for transportation to Santa Monica and can drop-off and pick-up at Los Angeles International Airport (LAX). 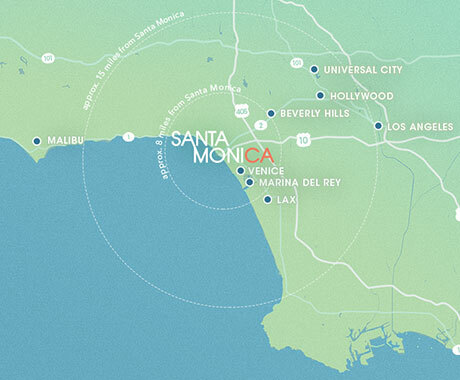 Fare estimates from LAX to Santa Monica start at approximately $20.